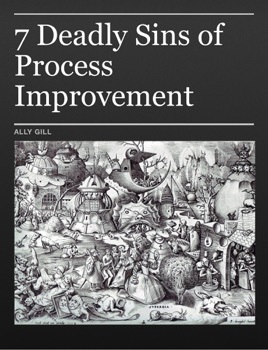 No-one ever said that Process Improvement was easy but there’s no reason why we have to make quite so hard. By understanding some basic principles it is possible to give ourselves a fighting chance of success. Gerald Weinberg famously said: “No matter what the problem is, it's always a people problem”, so it might make a bit of sense to start looking at some fundamental people problems which are often responsible for thwarting process improvement initiatives or indeed any other kind of organisational change programme. This e-book takes a different approach to the traditional Do’s and Don’ts by looking at key behaviours of people which are often the real reasons why improvement and change programme fails. If we can understand what dysfunctional behaviours to look for, how to spot them in ourselves and others and how to take steps to prevent them from interfering in our process improvement efforts, then we may be able to eliminate some of the problems which continue to plague us.